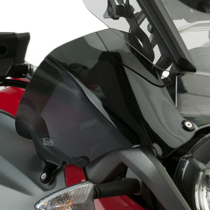 ZTechnik’s Quantum® hardcoated polycarbonate GS Fairing Winglets raise the comfort and performance level of the R1200GS for both touring and off-road riders. Winglets divert buffeting underdrafts and turbulent air from the rider’s cockpit. GS Fairing Winglets extended the performance of the bike’s windshield by diverting buffeting underdrafts and turbulent air from the rider’s cockpit. 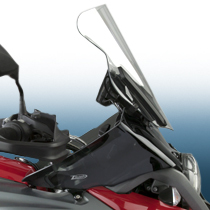 Coupled with a ZTechnik VStream® Windscreen, R1200GS riders will have a total wind management solution. 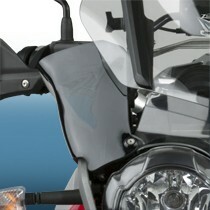 GS Fairing Winglets will also fit with OEM and other windshields. The GS Fairing Winglets are fuller and higher than the small OEM Cockpit Fairing parts. In all types of riding conditions, touring and adventure riders alike will be happy to have the increased performance of ZTechnik’s GS Fairing Winglets on their motorcycle. GS Fairing Winglets are made from tough 4.5mm Quantum® hardcoated polycarbonate. This material is lightweight but has the durability to handle the rugged off-road environment. 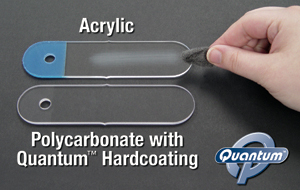 The exclusive Quantum hardcoating makes them 30x more scratch resistant than acrylic, and 10x more than standard hardcoated polycarbonate &emdash; ensuring that they will look great for years to come. ZTechnik’s state-of-the-art manufacturing techniques and attention to detail are evident in the smooth radius edge, precision forming and excellent fit. Plus, they're also covered by ZTechnik's exclusive 3-Year Warranty against breakage! This ingenious kit includes left and right Fairing Winglets. Each has a three-point attachment using the bikes existing mount points for a simple, solid and secure installation in less than 15 minutes. Mount screws with special offset bushings keep the plastic away from the painted bodywork of the bike. All hardware included. 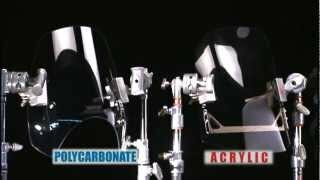 GS Fairing Winglets are compatible ZTechnik VStream® Windscreens, OEM windscreens, and other windshields, as well as with ZTechnik's Z5220 Windscreen Stabilizer Kit and ZTechnik Headlight Guards.